wrightsantiquesfinefurniture has no other items for sale. Hickory Chair Banded Mahogany End Table - Refinished! - Delivery Available! 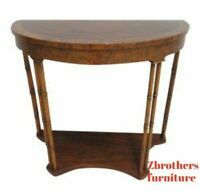 Asian Decorated Tilt Top Table - Vintage - Delivery Available.